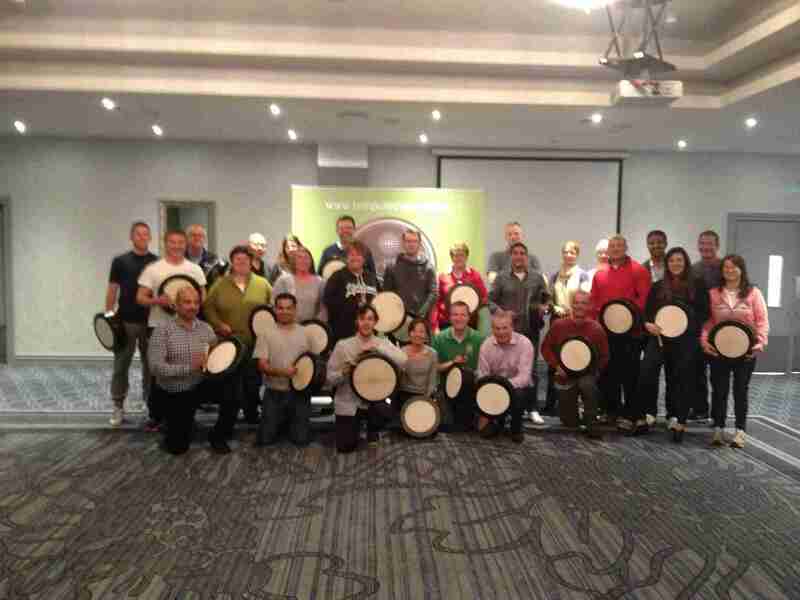 After a day of throwing wellie’s, hurling relays and wheel barrow races with the lads from Extreme.ie we had a brilliant bodhrán workshop with the great folks from Abbott Nutritional. We had a great time playing bodhrán’s and even achieved all our goals with a wonderful performance piece at the end. Well done to everyone involved and xtreme.ie and a big congratulations to Tom who beat all the younger bucks in the hurling relay.